Once you click Enter, the website will load. The search box is on the top for your convenience. Currently we support only United States License Plates but we plan to expand to other countries as well. 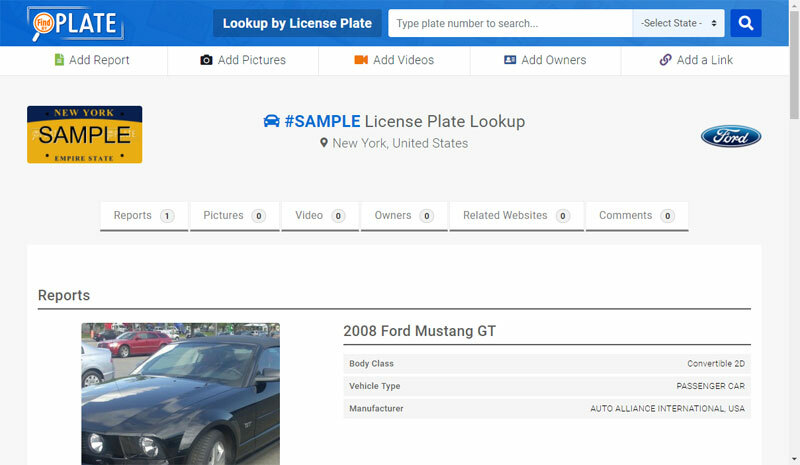 In this example screenshot we are searching for SAMPLE license plate number in New York state. 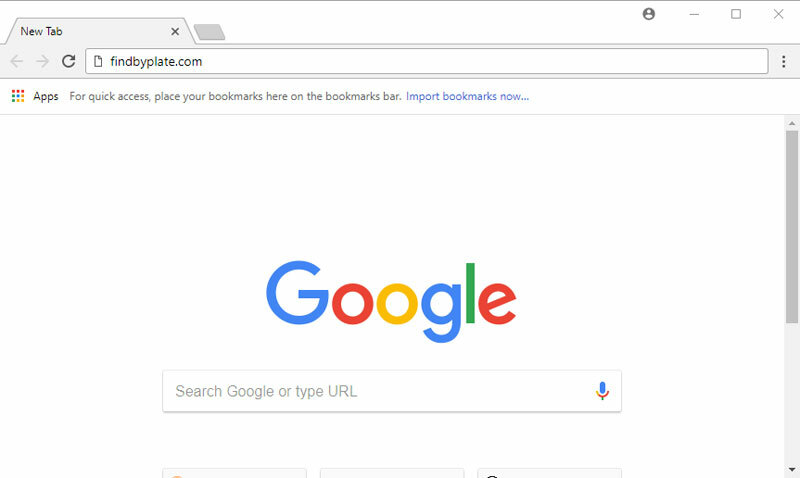 Since this is just an example, the actual search you make wont provide the same results. 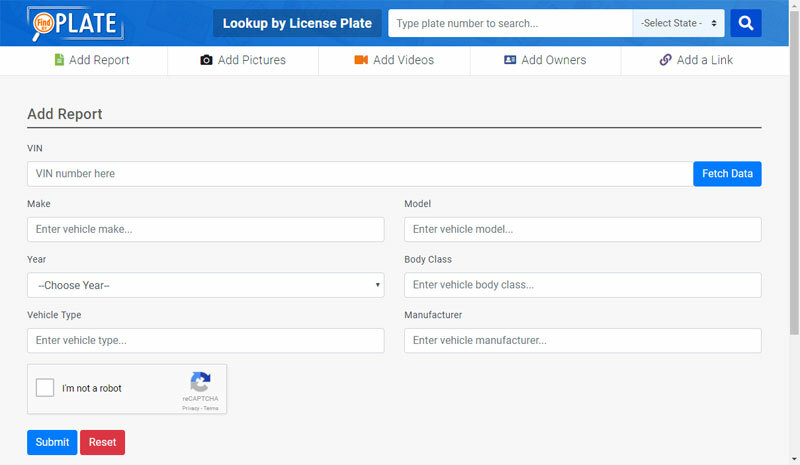 Once the results load you will see the report on the license plate you searched for, it will provide you not only car make model and production year, but most probably other details as well. For security purposes we have hiddent the VIN numbers from our website, and also disabled the public view of the owners. You will see a sample image of the car that is registered for that license plates. Sometimes you may see multiple records, usually those are historical records. 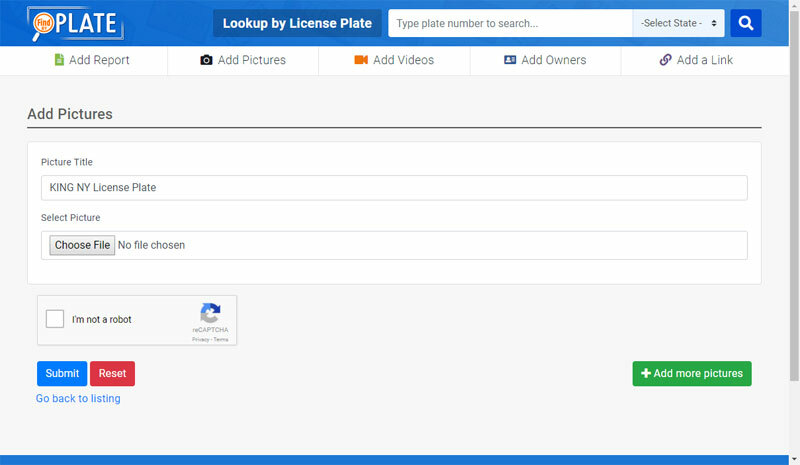 For example you got a license plate 10 years ago, and every 2-3 years you got a new car but kept your plate numbers, all these cars may show up during the license plate lookup. This page will also feature and public comments, videos or images uploaded by our community. If you notice anything out of the ordinary, please let us know and we will look into it. And all this is 100% anonymous. Get your stress out!!! 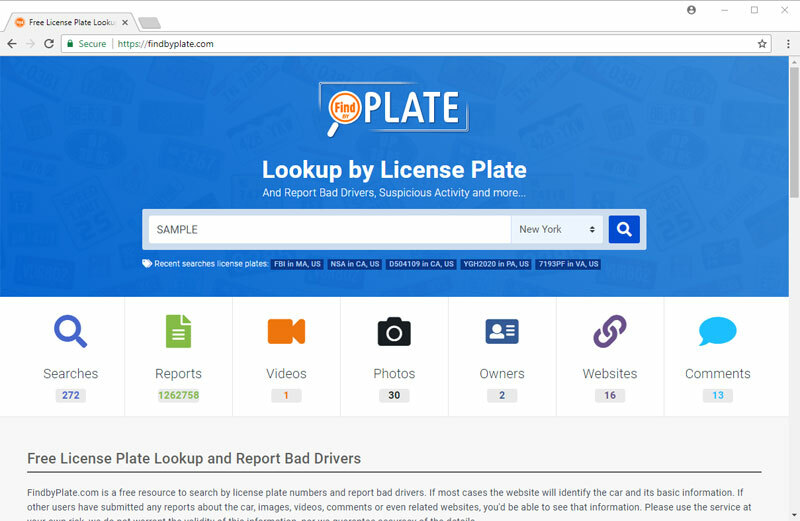 If our automated search system does not bring results for a car based on the license plate, we encourage our users to manually add a report. 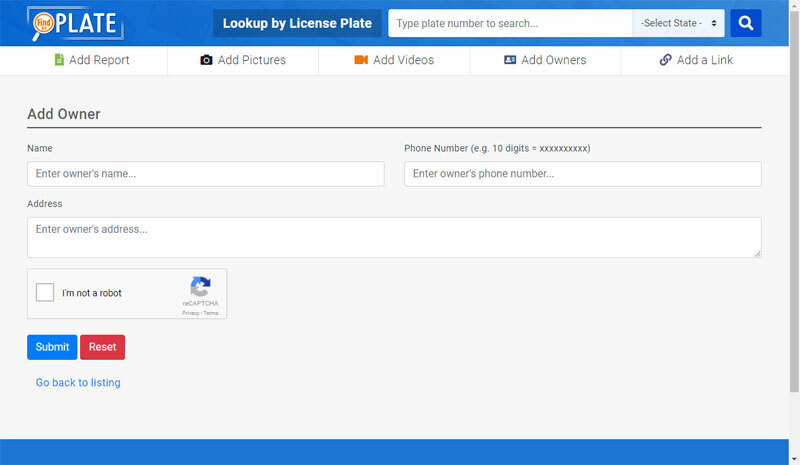 You can provide a VIN number and our system will automatically populate the car information, or type in the details. 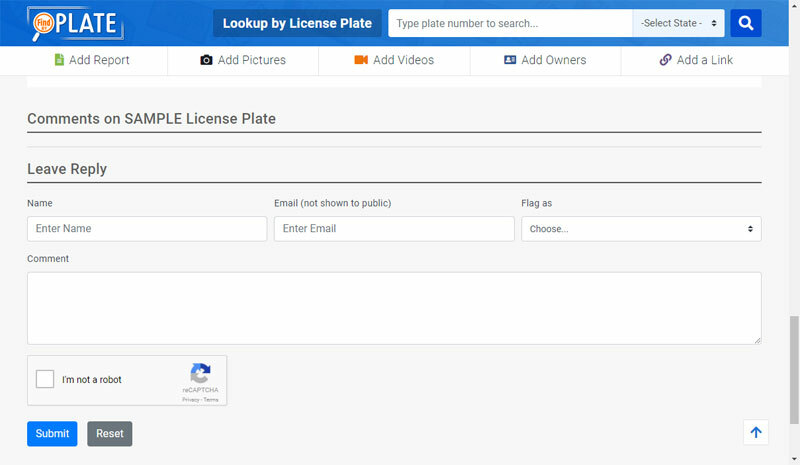 You can add pictures to any license plate, some people want to show off their cars, some others want to report an accident, or show the actual car behind a license plate. 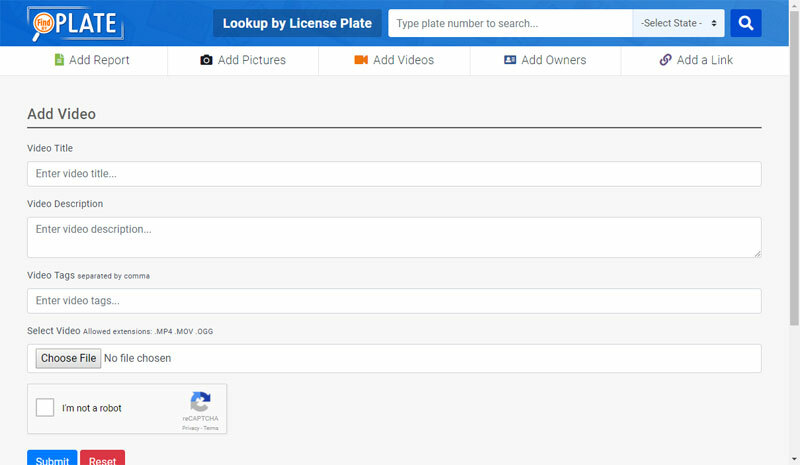 Plate help us grow our resource center by adding more images to the license plates you have information on. 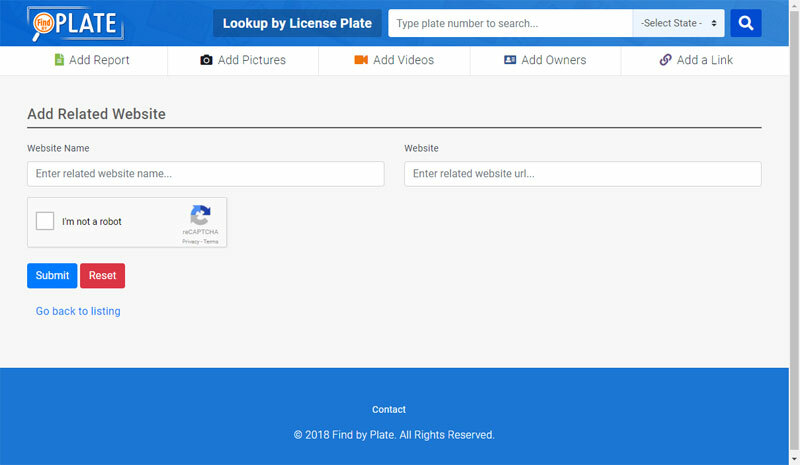 This is the fun part, you can submit a video related to a license plate, for example you got into an accident and dont want to share your public Facebook or Youtube channel, you can always submit your videos on FindByPlate.com and we will host it for free.